Offer at the Best Western Schlossmühle**** from HRS Deals, at 44€ per night, including breakfast, to be booked by 3 January 2017. Offer valid for stays until the end of March 2017. Rates are non-refundable. 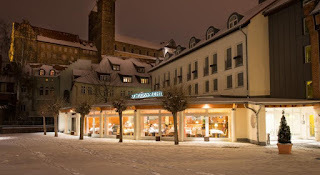 Very good opportunity to spend a week-end in a romantic historical town or even Valentine's Day. The deal is valid on the German website of HRS. To ease the reservation process, open the same link with Google Chrome and push the translate button to have an English version. Make the reservation in the German version, but use the English version to see which buttons you have to push. Valid for stays worldwide until 31 March 2017. The Orbitz discount code must be typed in the field "Enter a coupon or promotion code" on the payment page, just above the credit card information. As usual, the discount code can only be used on "Pay now" rates and is not valid for the international chain hotels. Amoma is a less known online travel agencies which is worth checking every time you are looking to book a hotel. For reservations made until the end of 2016 (stays also in 2017) they are currently offering a 10% discount. Early bird discounts of up to 30% at all Caesars Entertainment properties in Las Vegas (Caesars Hotel, Flamingo, Paris, Rio, Harrah's, Bally's). Valid for stays through to October 2017. Reservations are cancellable for free up to 72 hours before check-in. Save a third of the price at the 5-star resort Anantara Vacation Club in Phuket, Thailand, when you stay 4 nights. If your holiday is of 5 nights or more, then you save 40% from the standard price. This rate includes breakfast, but is non-refundable. Easy Click Travel is one of the hotel discounters we regularly check when we are making our hotel reservations. For bookings until 1 March 2017, they offer a 40$ coupon code valid for purchases of minimum 300$. Good promotion from the 4-star chain Park Plaza (part of the Radisson group of hotels) in Utrecht and Eindhoven for week-end stays until 31 March 2017. Bookings must be made until 31 December 2016. The fixed rate of €59 per night includes breakfast for 2 persons and is non-refundable. Perfect for a week-end trip to get away from the winter monotony! 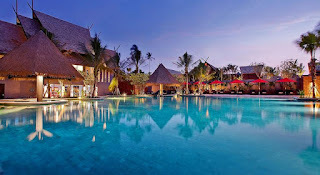 Otel.com is one of our top 10 online travel agencies. They currently offer a 7% discount code on hotels. Even better, this Otel.com promotion code applies also to big chain hotels. Two nights for the second week-end in December 2016 at the three-star Ibis Paris Levallois Perret. Perfect for some Christmas shopping and to see Paris full of winter decorations. Only available for Friday - Sunday, 9 - 11 December 2016, at 35 € per night, two people, room only. Saturday night deal at the central Ibis in the historical town of Angers, on the Loire Valley in France. Valid for 17 December 2016, double room, breakfast not included. Perfect deal for locals as well. Only available on Roomer Travel. These are the secret hotels uncovered in Abu Dhabi, UAE (updated January 2018). If there are any secret hotels you do not find, please send us an email or leave a comment at the end of this post and we will try to help. A brand new and well known global hotel chain has opened its doors in the heart of Abu Dhabi city near to the Al Wahda shopping mall and business district. The stunning Abu Dhabi Corniche is approx a 5 minute taxi ride away and Abu Dhabi International airport is about 20 minutes away. The property offers attractively designed guest rooms with spacious bathrooms. This is a dry hotel but it does offer a fine selection of restaurants. Licensed bars and restaurants are all within walking distance. Chill-out in a unique hotel with modern style and a variety of restaurants & bars to keep the fun going. Located a short drive between the city & the airport, we're in a major business hub a short distance away from the Sheikh Zayed Mosque. Catch some sun by the trendy outdoor pool by the day and dance the night away under the stars at one of the coolest clubs in town. Ditch the traditional hotel and experience a funky twist in Abu Dhabi. Located in a premier area close to the vibrant corniche seafront and the prestigious financial district, step into the allure of this Art-deco inspired hotel with elegantly appointed guestrooms, exceptional dining and relaxing leisure areas. These are the secret hotels uncovered in Marrakech, Morocco (updated January 2018). Get in touch if you do not find a secret hotel you are trying to reveal. Full of traditional Arabian style, this 5-star hotel sits near the picturesque Agdal Gardens, and is a great choice for either a relaxing stay or an active holiday, with a spa and excellent sports facilities, including two pools, on-site. The hotel’s rooms have private terraces or balconies, where you can enjoy views of the Atlas Mountains, and have high speed wifi access and flat-screen satellite TVs, as well as private bathrooms with showers and tubs. Combining traditional and modern styles, this 4-star hotel sits in the heart of Marrakech’s medina. During your stay you can enjoy a complimentary breakfast each morning and delicious evening meals overlooking the hotel's terrace. The en suite bedrooms have been designed with colour and personality, and come with air conditioning, tea and coffee making facilities and free wifi access. With an outdoor pool, a spa, Turkish baths, a hair and beauty salon and a fitness room, this smart 4-star hotel, adorned with bright Moroccan artwork, is a perfect place to get away from it all. It’s hugely family-friendly, with free breakfast and dinner for the under-12s and a special kid’s menu, cookies and milk each evening, and a babysitting service. All rooms are at least 30m2 and have an LED satellite TV, free wi-fi, a minibar and a sofa. Book a suite for more space or an extra bedroom. Set in a four-hectare palm plantation, this 4-star hotel in Marrakech is perfect for those who loves the outdoors. As well as relaxing in the gardens and pool, you can enjoy volleyball, tennis, table tennis, bowls, archery and mini soccer, and there are special facilities for children, including a kids’ pool. There’s a fitness room, a Turkish bath, three restaurants, 24-hour room service, a bar and even a nightclub. All rooms have a private balcony and minibar, and breakfast is included. This 5-star boutique hotel, with its elegant décor is located at the centre of Hivernage in Marrakech, near the Agdal Gardens and historic Bab Jdid walls. Wonder around the medina and ancient souks before heading back to relax on the terrace overlooking the Atlas Mountains. All rooms have satellite TV, wi-fi access and a mini bar. The perfect get away for those wanting to take it easy, facilities also include an outdoor pool and a Spa By Terraké, with a Jacuzzi, sauna and fitness center. This opulent 5-star hotel is just four miles from the heart of Marrakesh and its ancient medina. Relax by the pool, surrounded by lush greenery, or take in the hustle and bustle of the city centre. Dine in one of three on-site restaurants with cuisine including tapas, authentic Moroccan and provincial French. Rooms have either a veranda or a balcony; a flatscreen TV, air conditioning and a wired high-speed internet connection. Wi-fi is available in all public areas of the hotel. This 5-star hotel is set within a 27-hole golf course, surrounded by tended gardens and olive groves. While the award-winning golf course is the star of the show the hotel has many other features. Swim in an indoor and outdoor pool. Dine in six on-site restaurants, offering Morrocan, Italian, Brazilian and Pan-European fare. And enjoy a cocktail in the bar. Each room has complimentary wi-fi, air conditioning, a minibar and flatscreen TV with satellite channels. These are the secret hotels uncovered in Dubai, UAE (updated January 2018). This luxurious beach resort, ideally located on the Jumeirah Beach coastline, offers a private beach club and access to 5 pools, as well as a gym and spa. Dine in one of the 10 award-winning restaurants and bars. Just 5 min drive away from brand new shopping outlets, numerous restaurants, and a cinema. This luxury boutique beachfront resort is located on the stunning Jumeirah coastline. Pamper yourself in the Spa, relax on the private beach and pool or enjoy numerous unique food and beverage concepts in the on-site restaurants. All accommodations include complimentary hi-speed Wi-Fi and breakfast and feature oversized bathrooms among other exclusive in-room features. Excellent transport links to the rest of the city for great shopping and sightseeing experiences. Found in Deira, this modern 4-star hotel is within easy driving distance of Dubai International Airport and the city’s world-famous shopping. On-site you’ll find a selection of casual dining and nightlife options, including an international restaurant and inviting bar, as well as a rooftop pool terrace. The hotel’s rooms all offer free wi-fi, tea and coffee facilities, minibars and flat-screen TVs. This modern 4-star hotel in the heart of Dubai is ideally located for seeing the best of this incredible city, being found in the exclusive Al Mankhool area. During your stay, really make yourself at home with your room's kitchenette, complimentary wifi and relaxing seating area. You can also treat yourself to delicious international cuisine in the on-site restaurant, or just let chill out in the hotel's pool and sauna. Situated in Bur Dubai, this 4-star hotel is within easy reach of some of the city's best restaurants, malls and night spots. The hotel's generously-sized suites all offer a fully equipped kitchenette with everything needed to enjoy a great meal. The smallest rooms cover 400m², giving enough space to dine, relax and sleep, in comfort. Rooms also have a flatscreen TV, free wi-fi and a washer / dryer, for longer stays. The hotel also has an on-site gym and outdoor swimming pool. This contemporary 4-star hotel is found in the bustling Bur Dubai, close to the metro and Sheikh Zayed Road. During your stay you can cool off in the outdoor pool, work out in the fitness centre, pamper yourself in the spa, or treat yourself in one of the two international restaurants, coffee shop and bars. Each air conditioned room has a flat-screen TV with satellite channels, tea and coffee facility, selection of pillows and free wifi. Luxury 5 star hotel located less than 100 metres from the beach. It offers spacious bedrooms with balconies overlooking the sea and the Palm, free Wi-Fi, designer bathroom amenities, signature bars and restaurants as well as outdoor pool. Great place to stay in Dubai now available at lower price! This modern hotel is situated in Downtown, just a 20 minute drive from Dubai International Airport. In addition to an outdoor pool, the hotel’s designer interior includes a gym, a spa, and a bar serving mocktails. The stylish apartments feature living rooms with flat-screen TVs, dining areas, open-plan kitchens, and bathrooms with baths and showers. This elegant 5-star hotel can be found on looking out on the beautiful Arabian Gulf. After lounging on the private beach topping up your tan, why not treat yourself further by unwinding and taking advantage of the hotel's spa facilities, and in the evening you'll be spoilt for choice with the great range of restaurants on-site. Each inviting room has a traditional Arabian decor, as well as a large flat-screen TV and white-marble bathroom, stocked with pampering amenities. This gorgeous hotel has everything for an unforgettable trip to Dubai, with a great central setting close to the major city sights, shopping malls and business districts. A TripAdvisor Certificate of Excellence winner, there’s a rooftop pool, a gym, massage treatments, and an eclectic choice of seven restaurants on site, and outstanding meeting and event facilities. Rooms are sumptuous and perfect for unwinding in after a long day with free wi-fi, satellite TVs, and air conditioning. This 4-star hotel is within walking distance of Deira City Mall, Cargo Village, Deira Clocktower and the Dubai Museum. It has a stylish design and plenty of extra comforts, including a fitness centre, free private parking and complimentary wi-fi throughout. Inside, there’s a restaurant which serves Mediterranean dishes. There’s also a 24-hour bakery and two modern bars on-site for guests to benefit from. Room service is also available around the clock. This 5-star hotel and resort is a short walk from the Atlantis Aquapark on the Palm Jumeirah, right on the Arabian Gulf. This hotel has 8 restaurants, 7 bars and its very own nightclub, so you may never need to leave. For relaxation you can head to the private beach, take a dip in the swimming pool or head to the spa. This contemporary boutique hotel is situated in downtown Dubai, close to the luxury shops of the Dubai Mall. Unwind with a workout in the state-of-the-art gym or a dip in the pool. All rooms feature free wi-fi access, an LCD TV, open-plan kitchen and private bathroom, stocked with Elemis toiletries. Relax in a luxury beach resort located right on Jumeirah beach. It offers stylish bedrooms with balconies overlooking the Arabian Gulf and the Palm Jumeirah, free Wi-Fi, award-winning bars and restaurants, a private beach club with water sports, tennis courts, and access to 5 swimming pools. This stylish 5-star hotel is directly opposite the trendy Dubai Marina area, just a short stroll from Jumeirah beach. The hotel has five restaurants and bars, a swimming pool and state-of-the-art gym, and full conference facilities. Luxury, air-conditioned rooms feature marble en-suite bathrooms complete with walk-in rainfall showers and deep set bathtubs. You'll also find a minibar and an entertainment connectivity panel to connect your computer or music player to the flatscreen TV. These are the secret hotels uncovered in Boston, Massachusetts, United States (updated January 2018). Rates are based on double occupancy. Charges for extra adults may apply and will be due directly to the hotel. This smart, 3-star hotel is located just 2 miles from the heart of downtown Boston and a 15 minute drive from Logan International Airport. Its interior includes a lobby lounge serving cocktails, and a café offering meals throughout the day. Rooms feature cable TV and private bathrooms. This modern 3-star hotel is situated in the Boston Theatre District, close to Chinatown and Boston Common. Its facilities include a fitness room and an on-site restaurant serving local cuisine. The smart rooms feature HDTVs, coffeemakers, and private bathrooms with complimentary toiletries. This modern, 4-star hotel is conveniently located for Logan International Airport and just 10 minutes from downtown Boston. Its smart interior features a fitness centre, indoor pool, café, bar, and restaurant. Rooms include cherry wood furniture, coffee makers, video game consoles, and private bathrooms with complimentary toiletries. These are the secret hotels uncovered in Los Angeles, California (updated January 2018). Close to LAX, offering a heated outdoor pool and fitness center. A short drive from Sunset Boulevard and Rodeo Drive, with views of the Hollywood Hills, this 4-star TripAdvisor Certificate of Excellence winner is futuristic and stylish. There’s a terrace restaurant, cocktail bar, a spa, a fitness centre and a heated pool with a deck, plus 24-hour room service. All rooms have free wi-fi, a feather bed, luxury French toiletries, a satellite TV and a music system. You can upgrade for a premier view or a patio, or book a suite for a separate living area and more. These are the secret hotels uncovered in Marbella, Spain (updated January 2018). This 4-star hotel in Guadalmina, Costa del Sol, is right by the beach and some of southern Europe’s best golf courses, making it perfect for holidaymakers in search of relaxation and leisure options. When you’re not on the beach, enjoy the sauna, Turkish bath and tennis court, or dine in the buffet restaurant, all on site. The large rooms come with balconies, free cable, a flatscreen TV and air conditioning. Choose from two views from your balcony – of the golf course or the swimming pool. The hotel is offering a range of modern facilities and is located in an ideal place for a complete family vacation. It is the best option for a short or extended stay. This modern 5-star Mediterranean style hotel is located in the sought after area of ‘Elviria-Las Chapas’ in Marbella. The architecture reflects an Arabic influence, and the rooms are elegant and airy. This Trip Adviser Certificate of Excellence winner provides rooms with every necessity, including wi-fi, flat screen satellite TVs, and bathrooms with bathrobes. Play golf or visit the gym, before heading to the adult only beach club for a tranquil afternoon overlooking the sea. Inspired by traditional Andalusian style, this 5-star contemporary resort is a great option for a stylish beach holiday. Dive into one of the three outdoor pools, enjoy a spot of tennis or golf, relax in beautiful gardens, or treat yourself to everything from Japanese food to Mediterranean fare in one of the hotel’s great selection of bars and restaurants. Each designer room has a flat-screen TV, terrace and marble-finished bathroom. These are the secret hotels uncovered in Malta (updated January 2018). Overlooking St George’s Bay, this 5-star hotel in St Julian’s, Malta, has its own private beach with a watersports centre, diving school and even boats for hire. A TripAdvisor Certificate of Excellence 2014 winner, the hotel also has several outdoor pools, a spa with an indoor pool, sauna, whirlpool and treatment rooms, a hair salon, a fitness centre, five restaurants, a champagne bar, a pool bar and free wi-fi throughout. All rooms have a balcony, satellite TV, a minibar and air conditioning. Next to the famous St Anton Gardens and just a few minutes from the Presidential palace, this hotel is perfectly located for exploring the heritage and culture of Malta. Inside, rooms have balconies overlooking manicured gardens, as well as free high-speed wi-fi, LCD HD TVs and all the comfort you’d expect from a 5-star hotel. Pick a suite for your own spacious living room and private terrace with sun loungers. Enjoy total relaxation at the on-site spa, complete with sauna, massage and Jacuzzi. This property offers modern suites apartments just a mere 100 meters from the sea. The accommodations come with a flat-screen TV, kitchen, washing machine and tumble dryer. The bathroom includes a hairdryer. Bus stop and ferries terminal are both at walking distance. This modern, 4-star hotel sits close to Blue-flag St George’s beach and Paceville’s lively nightlife. The hotel has a restaurant, café, gym, spa, outdoor pool and poolside bar (seasonal); and wifi is available in public areas. Modern rooms have air-conditioning, LCD TVs, hairdryers, and en-suite bathrooms with walk-in showers. Get a luxurious treatment in this welcoming, intimate property located on Sliema's seafront. The suites are bright, spacious and offer a living room. Sliema, a town located on the northeast coast of Malta, is a centre for shopping, restaurants and cafes. This 4-star boutique hotel sits in the heart of Sliema, only a short walk from the seaside promenade. Stay here to enjoy the luxury spa, take a dip in the rooftop pool, or workout in the gym. The hotel has a restaurant and bar onsite and free wifi to boot. Spoil yourself with a stay in this stunning 5-star resort overlooking St Georges Bay and the Mediterranean Sea. The great selection of on-site restaurants ensures that you'll find plenty of tempting tastes to try, and you can enjoy fun in the sun by the outdoor pools or on the private beach. The en suite rooms are great places to relax, with satellite TV, air conditioning and free wifi coming as standard. Right by the sea, this contemporary 4-star hotel is ideally located for exploring the nightlife of St Julian’s. Relax by the beautiful pool or in the hotel’s spa, and enjoy authentic Mediterranean flavours in the on-site restaurant. Unwind in style in your room, fitted with private bathroom, flat-screen TV and iPod dock. These are the secret hotels uncovered in Napoli, Italy (updated January 2018). This elegant hotel offers bright rooms featuring tiled bathrooms with complimentary toiletries, a hairdryer and a shower. All rooms have marble floor and classical furniture. The Hotel is only 1.6 km from Piazza Bellini and Galleria Principe di Napoli and within a 5-minute drive to Capodichino airport. Found in the heart of Naples, this modern 4-star hotel is within easy walking distance of many of the city’s top attractions. Classic and elegant, the en-suite rooms come with free wifi access, minibars and a selection of pillows for your comfort. You can also enjoy delicious and authentic local cuisine and a generous breakfast buffet in the on-site restaurant, and work out in the 24-hour fitness room. Fall in love with the impressive architecture of this restored 19th-century, 4-star hotel opposite Naples' central railway station. Wander a few metres from the hotel's door to find yourself at numerous major sights such as Piazza Garibaldi, the duomo and the National Archaeological Museum. Great transport links also make it simple to explore locations including Pompeii and Mount Vesuvius. End the day with a visit to the fitness room or with a pizza and wine in the hotel's bar and restaurant. This modern 4-star hotel sits in Naples' historic city centre, near many of the best sights and shops. Enjoy delicious local flavours in the hotel's restaurant, which specialises in seafood and Mediterranean cuisine, and work out in the on-site gym. The hotel's rooms offer views of the city or the bay, and all have air conditioning, en suite bathrooms and a minibar, and free wifi is available throughout the hotel. These are the secret hotels uncovered in Venice, Italy (updated January 2018). This historic 4-star hotel in the San Marco district has a stylish Baroque interior and features a restaurant with a complimentary buffet breakfast. Rooms include an ensuite bathroom, full air con and free wifi. Dating back to the 1920s, this 4-star hotel has a long tradition of welcoming guests to the tranquil Venice Lido, and is within easy walking distance of public transport links for exploring the city. Set around attractive gardens, the hotel includes plenty of original features, and its restaurant specialises in local flavours. Rooms are classically styled and air conditioned, and include free wi-fi, satellite TV and private bathrooms. With its entrance and private dock both on the Grand Canal, this 4-star hotel completely embodies Venetian style. The centre of Venice is on the hotel's doorstep, with the famous Rialto Bridge under half a mile away. Enjoy breakfast in the hotel's breakfast room, decorated with fresco-style paintings, and later, relax with a drink from the bar in the hotel's courtyard garden. Rooms have air conditioning, minibars, complimentary wi-fi and flatscreen TVs with cable channels. This 4-star hotel is found within an historic building, dating back to the 17th century, just a short walk from St Mark's Square. Start the day with a delicious, complimentary breakfast and, after exploring the city, unwind in the stylish spa and dine in the canal-side restaurant. Furnished in a classically Venetian style, the hotel's rooms all have a flat-screen TV, wi-fi access and a private marble-finished bathroom. This 4-star hotel is just 50 metres from St Mark’s Square in the center of Venice. It offers Venetian style rooms with modern facilities such as air conditioning, minibar, safe, hair dryer and free wi-fi. It as an ideal location to discover Venice. This new hotel is located in a shopping area of Mestre close to the city center. The bus stops are steps away and you can easily reach Venice Lagoon. The hotel offer contemporary rooms, free wi-fi connection and a gym. This hotel offers great accommodation and comfortable facilities such as a parking lot and an Italian restaurant. All the rooms are equipped with a television, mini-bar and safe. This modern 4-star hotel is a few minutes from Mestre Train station, and central Venice is easily reached via bus. The rooms have air conditioning, satellite TV and a minibar, as well as complimentary toiletries in the en suite bathroom. The hotel provides a free buffet breakfast. You can expect indulgent luxury from this 5-star hotel, which is perfectly positioned overlooking the city’s famous Grand Canal. The iconic Piazza San Marco can be reached in no time, making it the ideal base for a long or short getaway. Venice may be best known as a romantic destination for couples, yet business travellers are also well catered for. All can stay active in the complimentary gym, and savour Venetian cuisine in the restaurant. Rooms feature high-speed wi-fi and a flatscreen TV. This striking, contemporary hotel has a great location 5 minutes from the Mestre train station, and just a 10-minute drive from the city's historical centre. It features modern guestrooms, free wifi, a restaurant serving a wide range of regional and Italian dishes and a bar with outdoor terrace. A shuttle service to Venice Laguna is also available. This modern 4-star hotel sits on the mainland near Venice, close to historic centre of Mestre and bus links to the world-famous sights of Venice. Start the day by treating yourself at the breakfast buffet in the hotel’s restaurant, and unwind in the bar and courtyard in the evening. Free wi-fi is available throughout the hotel, and the contemporary-style rooms have flat-screen TVs, private bathrooms with showers and minibars. Providing a peaceful getaway in the bustling heart of the city, this hotel is found in a gothic-style building, dating all the way back to the 13th century, and is within easy walking distance of many of Venice’s most iconic sights. A breakfast buffet is served each morning, and you can admire many of the hotel’s original historic features. The hotel’s rooms all include modern comforts like air conditioning, wi-fi, satellite TV and private bathrooms. This four-star hotel sits in a 14th Century building overlooking the Grand Canal with restaurants and bars nearby. The hotel features complimentary breakfast buffet and a dining room with a view of the canal. Rooms include en suite, air con and satellite TV. An ancient palace just off the busy tourist paths but still centrally located. This very nice hotel offers an historical atmosphere in one of the most traditional locations in Venice. You will be enchanted by its exotic furnishings and memories of past times, yet will have all the modern facilities expected by today's traveller. Explore the heart of the city with ease when you stay at this elegant 4-star hotel set within an 18th-century Venetian building. Fashionable boutiques and an excellent choice of bars, cafés and restaurants are easily reached by foot or water taxi, as are top locations including San Marco Square and Venezia Santa Lucia railway station. Relax after a day of sightseeing with a meal at the hotel's restaurant or sink into an antique chair in the beautifully decorated living room. This modern hotel is ideally situated in the heart of the most important shopping centre of the province of Venice, in a strategic position with easy access to the main highways and the airport. Offering comfortable rooms with all the facilities for great holidays in Italy. Five minutes from St Mark’s square, this 4-star hotel sit on the canal and features a bar and restaurant, including free breakfast each morning. Rooms include an ensuite bathroom, air conditioning, satellite TV and free wifi. This classic 4-star hotel sits in Venice’s historic heart, just a short walk from sites like St Mark’s Square, the Doge’s Palace and Ca’Giustinian. Combining original 17th century features with contemporary style, the hotel’s restaurant is a great place to take in the take in the city. Rooms are decorated in a classic style with items from local craftsmen, and include marble-finished bathrooms. A stunning 4-star hotel in the heart of Venice next to the iconic Grand Canal. Expect elegant 18th-century Venetian style décor, sumptuous, relaxing spaces and great modern essentials. All rooms are cosy and atmospheric with flatscreen satellite TVs, free wi-fi and air conditioning. Make the most of the fashionable surroundings and visit the hotel’s authentic Venetian restaurant, indulge in an ice cream or a drink in the café bar, or host the perfect meeting in impressive, high tech facilities. This historic 5-star hotel, housed in a converted convent includes an onsite spa. Rooms include full air con, TV and an ensuite with complimentary toiletries. The hotel offers a free buffet breakfast to guests and the restaurant has views over the private garden. Spa facilities include a sauna and Hammam, as well as treatments including massages, body scrubs and facials. This 4-star hotel is housed in a converted convent in Sant’Elena and features a restaurant and bar including complimentary breakfast (9 EUR per person). Rooms are fully air conditioned and feature an ensuite, LCD TV and free wifi. These are the secret hotels uncovered in Reykjavik, Iceland (updated January 2018). Filled with modern style, this hotel is just a short walk from the centre of Reykjavik, and close to the university, National Museum and Town Hall. During your stay you can dine on modern gastronomic meals, prepared with locally sourced produce, enjoy an Icelandic beer or cocktail in the bar. The hotel’s rooms include modern comforts like private bathrooms with toiletries and hairdryers, tea and coffee facilities and free wi-fi access. Renovations will take place between 9:00 and 18:00. This newly refurbished hotel is one of Reykjavik's best hotels for leisure and business guests. Many of Reykjavik's attractions - including the Hallgrimskirkja Church, the Harpa concert hall and Solfar Sun Voyager - are just minutes away. Rooms are modern and have flat-screen TVs, free wi-fi and contemporary-style bathrooms. Situated in the heart of Reykjavik, just around the corner from all the fashionable shops, restaurants and bars. This hotel offers the ultimate in personal service. These are the secret hotels uncovered in Jersey, United Kingdom (updated January 2018). Situated on the beautiful island of Jersey, this luxury boutique hotel is decorated in a warm, contemporary style and close to local attractions. Relax after a busy day with a meal at the hotel’s restaurant, and unwind in the spa, featuring indoor and outdoor pools, a thermal suite, and treatment rooms. The air conditioned rooms have satellite TV, free wifi, and private bathrooms stocked with complimentary toiletries. Looking out over St Helier’s popular promenade and with views across the sea, this 4-star hotel offers a charming seafront retreat in the pretty Jersey town. Designer rooms provide comfortable, fashionable accommodation and are fitted with convenient free wi-fi access and a minibar so that you can make yourself at home. Dine at the chic restaurant, with views of Elizabeth Castle and continue the evening at the terrace bar. If you’re feeling restless, then check out the hotel Health Club. These are the secret hotels uncovered in Marseille, France (updated January 2018). This modern, 4-star hotel is close to the Perier subway, tram and bus stops, and a short walk from the Stade Vélodrôme and Chanot exhibition centre. Enjoy French cuisine in the restaurant or relax in the bar before setting off for the Old Port or the beach. The spacious, contemporary rooms have free wifi, flat-screen TVs and minibars. This modern 4-star hotel sits in the centre of Marseille, very close to the port and the city's sights. enjoy a tasty buffet breakfast in the morning. Each room is sound proofed and has air conditioning, an iPod dock, The colourful en suite rooms are soundproofed and have air conditioning, free wifi access and satellite TV as standard. Combining eye-catching modern style with beautiful historic surroundings, this 4-star hotel is close to many of Marseille's best sights, including the city's Old Port. Take a dip under the Mediterranean sun in the hotel's outdoor pool, and enjoy tasty meals throughout the day in the on-site restaurant. Each room is fitted with air conditioning, a minibar, satellite TV and free wifi, as well as a private bathroom, stocked with indulgent toiletries. These are the secret hotels uncovered in Prague, Czech Republic (updated January 2018). This contemporary 5-star hotel sits in the heart of Prague. There are plenty of public transport options on the doorstep including bus and tram links, while Florenc Metro Station is a short walk away. You can dine in the restaurant, enjoy a drink in the bar and stay connected using the hotel’s free wifi. Combining contemporary features with classic art deco style, this 5-star hotel is close to several of Prague’s most historic sights, including the castle and Strahov Monastery and well-connected to the rest of the city. The hotel is home to an elegant restaurant, serving local and international cuisines and contemporary spa. In each air-conditioned room, you’ll find wi-fi access, satellite TV and a private marble-finished bathroom. This stylish Art Deco hotel is situated in the centre of Prague, only minutes on foot from the Old Town and Wenceslas Square, and close to the modern Palladium shopping centre. The elegant rooms are decorated with hand-painted ceramics and authentic early 20th-century furnishings. Spend the day unwinding in the on-site spa and wellness centre before heading to one of the city’s most famous restaurants, the Café Imperial, frequented by famous composers and writers such as Franz Kafka. This elegant 4-star hotel sits in the heart of Prague, moments from Wenceslas Square. You can enjoy fine dining in the restaurant, a drink in the bar, and find relaxation in the spa which includes a sauna and hot tubs. Meanwhile, the classy en-suite rooms come with air-conditioning, free wifi and an LCD TV. This modern 4-star hotel sits in the heart of the city, moments from Vltava River and the Palladium Shopping Centre. Head out to explore the Old Town Square and Wenceslas Square, a short walk from the hotel. You can fill up on the hotel breakfast buffet, relax with a drink in the bar and try the local cuisine at nearby restaurants. En-suite rooms are air conditioned and come with tea and coffee making facilities, satellite TV and free wifi. Chic and ultramodern, this 4-star hotel on Národní třída in the centre of Prague is an ideal base for the style-savvy guest. With clean lines and a smart, fresh décor, each room provides a calming ambience for you to relax in at the end of the day. With air conditioning, free wi-fi, a minibar and TV in each room, you can make yourself at home. Begin the day right with a complimentary breakfast buffet and make sure you check out the restaurant’s traditional Czech dishes in the evening. You'll be ideally located to explore Prague's top attractions when you stay at this modern 4-star hotel in the heart of the city. Old Town Square with its astronomical clock, Municipal House, Charles Bridge, Prague's Jewish Quarter and the excellent Palladium shopping centre are all just a short walk away. Make use of the hotel's free wi-fi in public areas and enjoy Czech and international dishes in the on-site restaurant with adjoining garden terrace. This modern 4-star hotel, is a short metro ride from Wenceslas Square and the city centre. It’s also moments from the shoppers’ paradise of Arkady Shopping Mall. Meanwhile, there’s plenty to keep you entertained onsite including a sauna, spa, gym, indoor pool and a casino. You can enjoy dinner in the restaurant, snacks in the café and a relaxing drink in the bar. Rooms come with air-conditioning, satellite TV and there’s free wifi throughout. Housed in a striking Neo-Renaissance building in the centre of Prague, this modern 4-star hotel is a short walk from the busy Andel district, home to the Novy Smichov shopping and entertainment mall. Breakfast is included in the price of your room, which will have blackout curtains, air conditioning, satellite TV, free wi-fi and a minibar. Suites have a separate lounge with a sofa bed and can accommodate up to three adults or two adults and two children, plus a cot. This modern 4-star hotel in Prague’s business district offers picturesque city views and is a short walk from Andel Underground and Tram station. You can dine in the restaurant, or out on the terrace and unwind with a drink in the bar. Find relaxation by making the most of the health club, including a gym, sauna, hammam, and a range of massage treatments. Modern en-suite rooms come with air conditioning, flat screen TVs and free wifi. With bus, tram and Metro stops opposite, this comfortable, spacious hotel offers easy access to the city centre, a 15-minute walk away, without the noise. Hop on a tram to Old Town Square for some sightseeing, and on your return, why not relax at the pool, Jacuzzi and steam bath at discounted rates? Otherwise chill out in your room with TV and internet access. Business guests are served by three state-of-the-art meetings rooms at this hotel which has a TripAdvisor Certificate of Excellence. Next to the famous Wenceslas Square in the magical city of Prague, you’ll find this superior 4-star hotel. Modern décor and comfortable furnishings characterise the hotel throughout, and in each room you’ll find an LCD TV, air conditioning and free wi-fi access. The hotel has a fantastic Relax Centre where you can unwind and make use of the sauna and whirlpool. And don’t miss out on the hotel buffet breakfast, where you can enjoy a hearty meal to set you up for the day. Built in 1870 and just a short walk from Wenceslas Square, the National Theatre and the Vitava River, this grand 4-star hotel is ideal for exploring Prague. The hotel's 136 rooms all have complimentary wi-fi, a flatscreen TV and air conditioning. Business travellers are well catered for with a number of interesting function rooms, including one in the centuries-old basement, capable of holding up to 250 guests. A breakfast buffet is served each day from 7:00. For an exclusive and unique hotel stay, this gorgeous 5-star design hotel in Prague is a great choice. This ultramodern hotel is set in Prague’s historical Old Town, right in the heart of the city. Each of the innovatively-styled rooms is fitted with air conditioning, a minibar, LCD TV and free wi-fi access, and the furniture is designed by famous Czech artists. If you’re hungry, experience the hotel’s quirky noodle bar and enjoy some refreshing homemade lemonade to accompany your meal. This charming hotel with old style elegance, stands within metres of Prague’s Charles Bridge. Each room is individually designed to reflect the opulent splendour of the baroque period, while modern technology has been sensitively incorporated, offering plasma satellite TVs, en-suit bathrooms and free wi-fi. Start your day with a delicious buffet breakfast at no extra cost. The hotel restaurant offers tantalising Czech and International cuisine, while the nightclub provides evening entertainment. This stunning 5-star hotel has fantastic views of the cityscape and is a short metro ride from the city centre. You can enjoy the hotel’s luxury spa facilities, including a sauna, steam room and various massage and beauty treatments, and take a dip in the pool. There’s a choice of restaurants onsite for dinner, and you can relax with a drink in the bar or logon using the free wifi. This award-winning 5-star hotel is set in the trendy Smichov district of Prague on the left bank of the River Vltava, opposite the city’s Dancing House and moments on foot from the Charles Bridge. Housed in an Art Nouveau-styled building, the air-conditioned rooms boast stunning views of the city and come equipped with free wi-fi access, flatscreen TVs and private bathrooms. Unwind with an in-room massage before dining on local and international cuisine at the sophisticated hotel restaurant. In a quiet residential area near Prague city centre, is this 4-star TripAdvisor Certificate of Excellence winner is housed in a lovely traditional building. There’s plenty of accommodation for families, of the 49 rooms, 13 are triples, and there are eight apartments, each with two rooms, up to four beds and in some with a kitchenette. All rooms have tiled floors, satellite TV, free wi-fi, a minibar and air conditioning. There’s also a rooftop restaurant, a bar, a garden and a meeting room. Housed in a former palace, this 5-star hotel in Prague city centre is super family-friendly. Family rooms include gifts, toys, games and DVDs for kids (even Wiis are available), and everything you need, from pushchairs to nightlights, is provided. A TripAdvisor Travellers’ Choice 2014 winner, the hotel also has a restaurant regularly ranked among the country’s best, a garden, a fitness room, free wi-fi throughout and a bar; all rooms have a flatscreen TV, underfloor heating and a minibar. This modern 4-star hotel is a short metro ride away from Prague city centre and moments from the O2 Arena. Sitting close to a shopping centre, this hotel is a good choice for keen shoppers. There’s plenty of opportunity for relaxation, with luxury spa facilities that include a sauna, steam room, hot tub and indoor pool. You’ll have a choice of restaurants for dinner and the hotel also has a bar and free wifi throughout. These are the secret hotels uncovered in Stratford-upon-Avon, UK (updated January 2018). This historic 4-star hotel is just south of Stratford upon Avon and a short drive from Stratford Railway Station and Warwick Castle. The hotel has an award-winning restaurant, an indoor pool, garden, terrace, tennis court, and sauna. There’s free wifi throughout the hotel and elegant rooms come with flat screen TV, luxury toiletries and bathrobes. This superb Historic hotel is situated in the heart of Stratford only minutes walk from the fantastic shops and sightseeing destinations, such as Shakespeare's House & the RSC Theatre. Each room is decorated in a unique style that gives a real sense of Shakespearean history and charm. These are the secret hotels uncovered in Aberdeen, UK (updated January 2018). Perfect location for exploring the sights of Aberdeen and the northeast of Scotland. This great hotel is surrounded by impressive architecture located in the heart of the city centre, within walking distance of the shops and other local attractions. All rooms have flat screen TV's, work desk, safe, tea and coffee making facilities. The hotel has Wi-Fi available throughout the hotel and also features a bar, restaurant and fitness facilities. By choosing this hotel you’ll be staying in a stunning, historic building conveniently located in Aberdeen’s West End district. The city centre is a short walk away for restaurants, bars and shopping, while the countryside can easily be reached for a few hours of peace. There’s an on-site bistro and bar serving locally sourced food, plus meeting spaces which cater for large or small business events. Wi-fi is offered for a fee, and rooms include a flatscreen TV with satellite channels. This majestic former 19th-century mansion is located just outside the city centre, surrounded by 30 acres of countryside. Indulge in our luxurious spa with heated indoor pool, fitness room and spa treatments available. This 4-star hotel has an award winning restaurant, lounge and whisky bar plus 24-hour room service. Relax by the fire with a malt whisky and admire the artwork and original wooden paneling. All our newly refurbished rooms have comfy beds, beautiful views and free wifi. These are the secret hotels uncovered in Bournemouth, UK (updated January 2018). Surrounded by golden sands, and close to the attractive sights of Poole, this modern 4-star hotel is a great place for a fun beach holiday. The hotel has a great selection of on-site watersport facilities, as well as an indoor pool, while its gym and sauna are ideal for letting off some steam, and the on-site restaurant serves up tasty traditional food with sea views. Colourful and classic, each room has free wifi access and satellite TV. Situated in a renovated Victorian townhouse, this delightful hotel is perfectly located on the south coast. Spacious family rooms are available and all rooms come with en-suite bathrooms, LCD TVs and wi-fi access. There’s an indoor swimming pool, gym and sauna to enjoy as well as breakfast, lunch and dinner on offer from the restaurant, with products sourced from local suppliers. Relax after a long day sight-seeing with a drink in the stylish bar. This smart 3-star hotel near Bournemouth’s stunning beaches is only a short walk from the vibrant town centre. You can unwind using the hotel’s fantastic spa facilities including steam room, sauna, spa bath and treatments; and there’s an indoor pool, gym, lounge bar and award-winning restaurant onsite. Meanwhile, en-suite rooms come with digital TV and tea and coffee facilities. This 3-star Georgian hotel is a short walk away from Bournemouth Pier. The smart interior includes a sauna and steam room, swimming pools, a gym, a bar, and a restaurant offering evening dining. Rooms feature free wifi, private bathrooms, a work desk, and tea and coffee making facilities. Just ten minutes from West Beach, this contemporary 4-star hotel is a great place to stay by the sea. There are exceptional spa and fitness facilities on-site inlcuding hot baths, an indoor pool, sauna and steam room, and mud wraps and massages are on offer. You'll also find free wifi access, a flat-screen TV and private bathroom in your cosy and colourful room. These are the secret hotels uncovered in Brighton, UK (updated January 2018). This 4-star hotel is just a stone's throw away from Brighton’s vibrant seafront, the famous Lanes and the Royal Pavilion. The Renaissance-style hotel has conference and leisure facilities, including an urban day spa (extra fees apply), gym and complimentary wi-fi. The elegant, 4-star overlooks Brighton seafront, is a short walk from Brighton Pier and the city centre shops; while the Brighton train station is 20 minutes’ walk away. The hotel retains its Victorian-era features and boasts an indoor pool, gym, hot tub, sauna, and steam room. You can enjoy a meal with sea views at Waterhouse restaurant, and relax with a drink at the bar with terrace. Each modern room has a satellite TV, coffee maker, work desk, and en-suite bathroom. Overlooking the sea, this 3-star hotel is a great place for a traditional seaside stay. Get your day off to a great start in the hotel's dining room, with its excellent choice of hot and cold breakfasts, and take advantage of the free wifi in the hotel's bar. Complimentary toiletries are provided in each room's en-suite bathroom, and you can unwind in front of your room's satellite TV. Within walking distance of all Brighton’s attractions, this boutique style property offers the best in service and comfort. This boutique 3-star hotel brings a sense of contemporary style to an historic part of Brighton, right by the seafront. The hotel’s café and bar are cool places to hang out, serving up delicious and comforting locally sourced flavours. Every cosy room has its own individual sense of style, and free wifi and flat-screen TVs come as standard. Found in the centre of town, this modern 3-star hotel is well located for exploring Brighton's shops, and is within easy walking distance of the beach. In the hotel you'll find plenty of options to relax, including delicious coffees, a selection of drinks and snacks in the bar and tempting breakfast and dinners in the restaurant. Cosy and colourful, the hotel's rooms have en-suite bathrooms, flat-screen televisions and free wifi access. This Grade II-listed, 3-star hotel is a fantastic choice if you're planning a seaside getaway, thanks to its enviable position just metres from Brighton's promenade and beach. A short walk will bring you to the excellent shopping and delightful narrow streets of The Lanes, Brighton Pier, The Brighton Centre and the many bars and restaurants dotted throughout the city. The hotel also has its own restaurant and bar, as well as on-site conference and meeting facilities. This 3-star contemporary hotel is situated a short walk from Brighton Train Station and a 15 minute walk from popular attractions such as the Royal Pavilion and the Sea Life Centre. The interior features a TV lounge, vending machines, and free wifi. The smart rooms each include a TV, mini-fridge, desk, and a private bathroom with free toiletries. These are the secret hotels uncovered in Windsor, UK (updated January 2018). With historic Windsor nearby, this excellent 4 star hotel has comfortable and spacious accommodation along with great leisure facilities that all guests can enjoy. The hotel is ideally located, with easy access to the M4, London and Heathrow Airport. This 4-star Georgian hotel sits on the outskirts of Windsor, just a short drive from the town’s historic sights, as well as Legoland and Heathrow airport. During your stay you can work out in the high-tech gym, pamper yourself with a relaxing treatment in the spa and dine on delicious, organic and locally-sourced cuisine in the restaurant. During the evening, curl up in comfort in your room, fitted with free wifi, a flat-screen TV, tea and coffee maker and private bathroom with hairdryer. These are the secret hotels uncovered in Chester, UK (updated January 2018). Situated in a 17th century Georgian house, this hotel is located within Chester’s historic city walls, just a short walk from Chester Cathedral. Guests can relax in the bar and on the hotel’s decked terrace or work out in the gym. The smart rooms feature flat-screen TVs, tea and coffee making facilities, and en-suite bathrooms with complimentary toiletries. These are the secret hotels uncovered in York, UK (updated January 2018). You'll be centrally located with a stay at these new funky apartments, a home from home for your stay in York. 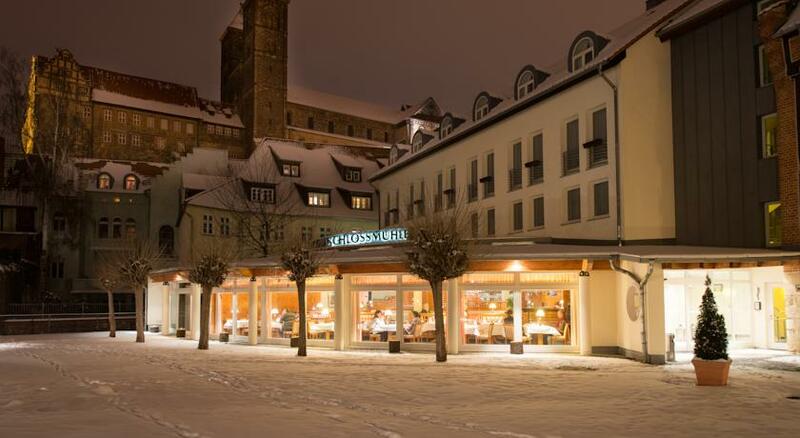 This charming 4-star hotel is within easy walking distance of the medieval walls and historic city centre. Rooms come with tea and coffee making facilities, free wifi access and digital TV service. The hotel restaurant serves a variety of local dishes throughout the day. At the end of the day you can relax with a drink at the lounge bar. Sitting within York's old city walls, this 4-star hotel offers guests quick access to the city's main sites of interest, including the impressive York Minster Cathedral. Dine in the hotel's American-themed restaurant, serving cocktails and American classics. Alternatively, have a light meal in the on-site Tower's restaurant. The hotel has a number of meeting rooms and a 24-hour business centre. Rooms all have flatscreen TVs with on-demand movies and access to wi-fi. These are the secret hotels uncovered in Cambridge, UK (updated January 2018). This modern 4-star hotel can be found just a ten mile drive from Cambridge’s historic centre. Revitalise yourself in the fitness centre and pool, or pamper yourself with a treatment in the spa, before retiring to your room, where you can unwind in front of the TV, browse the net or just soak in the tub. This 3-star hotel features historic Georgian architecture, and is within walking distance of the station and Cambridge University’s historic campus. Enjoy locally-sourced produce in the on-site restaurant, or relax in the bar. The hotel’s classically-styled rooms are great places to relax, with free wi-fi, tea and coffee making facilities, flat-screen TVs and private bathrooms. This 3 star boutique hotel centrally located within easy walking distance of shops, covered market, theatres and museums. A popular hotel which attracts an international following among business and leisure travellers. Step off the airport coach and you are 2 minutes walk from the hotel. These are the secret hotels uncovered in Palma de Mallorca, Spain (updated January 2018). This 4-star TripAdvisor Certificate of Excellence winning hotel, is in the peaceful neighbourhood of Portals Nous, just 10 minutes by car from Palma, and a short walk from the area's beach. Sun bathe by the outdoor pool with a drink from the bar, or visit the on-site spa with a sauna, steam room and aromatic showers. Dine in the Coral bar, which offers a breakfast and dinner buffet, or choose a light bite from the snack bar. Rooms offer complimentary wi-fi, air conditioning and a flatscreen TV. Combining historic architecture with contemporary interior design, this 5-star boutique hotel sits in its own private grounds right by the sea. Treat yourself to fine local cuisine in the restaurant, take a dip in the pool, or enjoy a drink in one of the 2 bars. Each room draws on both traditional local and contemporary styles, and has a flat-screen TV, high-speed internet access, fine linens and a private bathroom with shower. This modern 3-star hotel is a short walk from stunning Cala Mayor Beach. Porto Pi Shopping Centre and Palma Old Town are also within easy reach. The hotel has a restaurant, bar and snack bar, outdoor pool and spa facilities that include a sauna and steam room. En-suite rooms come with air-conditioning and free wifi to boot.